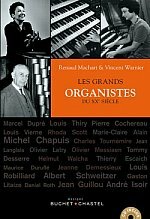 CD de 5h (mp3) accompagnant le livre de Renaud Machart et Vincent Warnier, 2018. Une leçon de musique sur César Franck avec X. Darasse à la Dalbade de Toulouse. 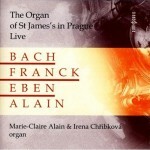 This program can best be described as a journey across Baroque Europe in the company of Johann Sebastian Bach and one of the leading personalities of the world of organ music, Marie-Claire Alain. 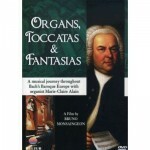 Bach travelled little during his lifetime, but director Bruno Monsaingeon extends the geographical scope of Bach's activities by including organs best suited to his music. 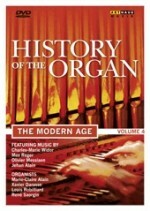 The instruments featured here, at venues including Haarlem, Groningen, Rötha and Dresden, are ones which Bach himself would have played, or which were built to his specifications. 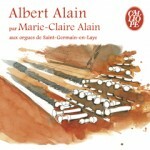 J. Alain : L'Oeuvre vocale.